Abundance Crystal Collection Box contains a selection of six beautifully energised crystal tumbled stones each with a unique affirmation. PEACE LOVE CRYSTALS Crystal Collection Boxes are made from pine wood with the Flower of Life grid on top of the lid. 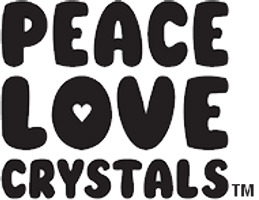 PEACE LOVE CRYSTALS Crystal Collection Boxes are approximately W8cm x L8cm x H6cm in size. All orders receive a free copy of our "Crystals and Minerals Metaphysical Properties Guide" by PEACE LOVE CRYSTALS*. Image shown is an example of their natural variations, please take note of the size described as images are close-ups so you can see the quality we offer.